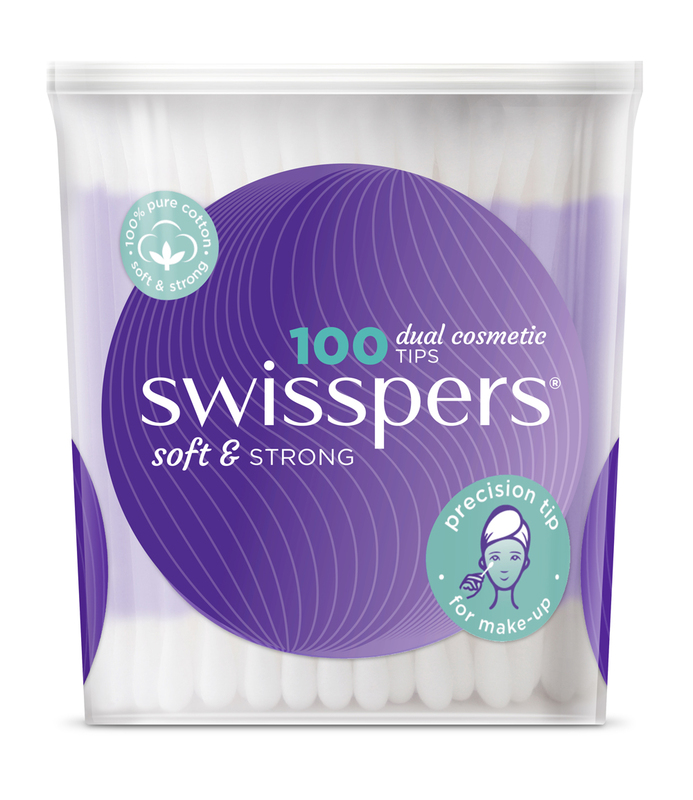 Swisspers Cotton Cosmetic Tips are cotton tips with a unique dual tip shape, which allows for precision application and removal of make-up for the delicate areas around the eyes and lips. Each tip has a tapered precision tip and a paddle shaped tip perfect for blending.  Swisspers Dual Cosmetic Tips are one of the most useful beauty tools. They come in a twist-top canister for easy access and storage. Has been using this more than 3 years now. It has been the best cotton tips for eye work and brow works so far. This was actually my hubby mistakenly bought after i requested him to get me cotton buds during his visits to woolworths. At first i was annoyed because it doesn't look like the traditional one but as I started doing/removing makeup using it, really does helps a lot. The sharp tip is used below the eye for smaller space and the flat tip i use on the eyelid. I have always used regular cotton tips for fixing makeup mistakes and gave these a try after reading other reviews by Beauty Heaven beauties. Everthing I read was absolutely right and these tips are better. A few reasons: the different ends - one rounder and one tapered for getting into the corners of the eyes and fixing mistakes without hurting or poking. I also love them for using as a temporary makeup applicator - especially when travelling and not having all my brushes etc with me. They're very good quality, dont fluff or leave little tiny "bits" in eyes, on lashes or lips. They cost more because they are a very high quality so only use them for makeup and nail touch ups. Buy proper ear buds for your ears!!! Every make up bag and taking away - the absolute must have travel companion!! Before I found out about this cosmetic tips I used to have to use a makeup wipe or a regular cotton tip to help clean up my makeup mistakes but because the regular cotton tips were too big and thick they weren't that precise. I would have to remove some of the cotton to make it more narrow but now I don't have to because I use the swisspers ones made just for cosmetics. It's a dual ended cosmetic tip with one side being pointy and the other end being a bit more wide and flat. I mostly use the pointy side because it's much more precise and it works well for when I make mistakes with my eye makeup. For me I like to use it to clean up my winged eyeliner. Having an unsteady hand means I tend to mess up a lot so I dip the tip in makeup remover or micellar water to clean up the edges of my winged eyeliner and make it look more sharp and clean. It does such a great job. I've used it to clean on my lower lash line when I've put too much eyeliner or if I used an eyeshadow colour I didn't like. I have also used it when cleaning up my eyelid if I accidentally got mascara on it and my eyebrows if I put too much powder. The tips are not just limited for makeup. I have also used it to clean up around my nails when putting on nail polish. I dip it into acetone and it becomes like a nail polish remover pen. It contains 100 so it's great value! The Swisspers Cotton Cosmetic Tips are great to have on hand for any beauty product applications and makeup touch ups. The product features a flat paddle side and a tapered pointed side. They're great quality, sturdy and are affordable. I use the flat side for a number of uses form picking up product from a skincare product pot so that I dont have to dip my fingers into the product to blotting off some lipstick from the middle of my lips. The pointed side is perfect to remove any mascara smudges and mishaps and gets under the lower lash line with ease. I also use it to clean up my lip line and sharpen any winged eyeliner looks. These dual-ended cotton tips have become indispensable to me. As I am always short on time in the morning, I often somehow manage to smudge my mascara or eyeliner, or get a drop of mascara on the side of my nose if I'm applying in the car (the worst!). A quick swipe with one of these babies after it's dipped in micellar water has been my saviour time and time again. I've also used them to apply eyeshadow in a pinch, they work amazingly! Dip them in micellar water for major errors! I have used many other brand cotton tips but Swisspers remains the gold standard. The cotton tips are more precisely shaped, making them suitable for not only makeup purposes, but also for other uses: for example, cleaning ears and belly buttons. What most impresses me is how the ends do not tend to fall apart from use and are actually quite durable and stay in shape. While the ends of both tips are actually different, I love using the sharp end as it is great for getting into awkward crevices. The cotton tips come in a generous and re-useable tub of 100 and the price point is generally quite cheap. There's really no reason why you shouldn't purchase this and I have re-purchased this myself countless times. Cleans up makeup mistakes with precision. I have purchased more of these tubs than I could genuinely count. They are absolutely necessary for me. Not only do they work as fantastic tools to clean up my winged liner boo-boos (they happen more than I'd like so I'm glad this product comes in packs of 100!) but there's no reason you can't still use them for medical purposes as they are very high quality, I've never had a single one fall apart on me. add a small amount of primer to the pointed tip for a quick makeup clean-up that doesn't ruin the rest of your look. Why didn't some bright spark come up with the idea of pointy cotton buds decades ago? Genius! I've been using the pointed ends of these cotton buds often, but the paddle-shaped ends aren't getting nearly as much use. The pointy ends are great for honing a perfect winged eyeliner, cleaning nail polish off cuticles, or perfecting a bold lip line. While the paddle ends are handy if I make a big eyeshadow mistake, they're not as useful to me as pointies. I find myself holding the stick after I've used the pointy end, umming & aahing what I can do with the paddle end, so I don't have to discard a half-used cotton bud. REPURCHASE? Yes, for those times I need the degree of precision I can't hope to achieve with a regular cotton bud. I'll still buy regular cotton buds because I like to clean my ears the way we're all told we're not supposed to. The plastic tubs are great! I don't think I've ever thrown one in the recycling - I always find a use for the empties. I purchased these in the Beautorium November 2017. Since I started to use these I've been using them more and more. I like to dip the end into some micellar water for make-up corrections. It's very easy to accurately pinpoint any mistakes and swipe them off my face when I use these. They have a pointy end (made of cotton) and a flat spoon-like end (also made of cotton). I find the spoon-like end handy to dip into pot's of skincare product (like a moisturiser) for hygenic purposes. I will re-purchase these again when the pot runs out. Handy little things! I've been converted to these after trying them a year ago and refuse to use any other brand. I've never found a brand that offers a cotton tip with a point (which is perfect for cleaning up even the smallest makeup detail). Not only are the shape of these perfect they don't start to unravel from using them with a makeup remover or water which I've found a lot of other brands do. They don't leave any cotton on your face after a clean up. I also find them perfect to touch up mistakes I make when painting my nails or apply latex around my nails for the perfect application. Not only handy for makeup. After purchasing Swisspers Dual Cosmetic Tips, I cannot see myself being without them. For the many ways in which they can be used, they are indeed extremely handy and cheap. I love the uniquely shaped ends; one being pointed while the other is flat. The cotton comprising each tip is also tightly wound so that it maintains its shape during use. I use the flat shaped end to apply my powder eyeshadow because the surface area of the tip is larger than a conventional cotton tip and can cover a large area of my eyelid. So applying my eyeshadow with this type of cotton tip is quick. The flattened end is also good for "dabbing" ointment or antiseptic cream onto small cuts or puncture wounds so that the whole procedure remains hygienic. Much better than using just your fingers !!! LOL !!! Another way that I unconventionally use this end of the dual tip is to smudge my artwork when I am drawing. It makes a great "blending tool" for graphite drawings. With the pointed shaped end, I can blend very precise areas of my drawings. When applying makeup, the pointed shape tip is useful for smudging eyeliner or kohl pencil along the lash line to achieve a "smokey" eye look. It is also great for removing misplaced eyeshadow or mascara on the eyelid by wetting the tip lightly with micellular cleansing water and removing "the mistake". I also use the pointed end of this tip for removing grime from my spectacles. The pointed end is ideal for getting in between the lenses and the frame where dirt commonly collects. Also good for cleaning the nose piece of spectacles. Recently, I found that the pointed end of a Swisspers Dual Cosmetic Tip is great for cleaning the links in the band of my watch where grime collects especially in Summer when I tend to perspire a lot. With so many uses that this product can be used for apart from makeup, I would gladly recommend this product to anyone :). The pointed shaped end is good for removing small smudges of mascara around the eye when used in conjunction with eye makeup remover. Ideal for removing makeup and grime from very small areas. I love these swisspers tips as cotton bit does not fall apart as the cheaper ones. Plus the sharp bit great for fixing my messy eye 'art' makeup. I use mineral eyeshadow dusts as eyeliners (for colour variety and great wear/pigmentation), so it can get really messy, as I am not very skilled. Also around the lips. Mine have no defined edge, so these tips fix the mess without smudging. Oh, another way I use it, to clean around the nails (dipped in acetone/polish remover) when painting as I am an an amateur...things get really messy. Sharp side is much easier to get towards cuticles without smudging everything. it's so good for fixing make-up errors, or applying anything due to its dual tip. It's so good and well priced! So handy for when you need to fix up your eye makeup! The flat end works well for larger areas that need to be cleaned up, whereas the fine tip end is great for fixing small mistakes. Cotton doesn't fall off the stick like some other brands. I first saw these used by a makeup blogger I follow and I had to have them. High five to Swisspers - these are brilliant at removing makeup mistakes, namely mascara smudges, eyeshaddow fallout below the eyes and lipstick/liner/gloss mishaps. The unique dual ended tip shapes allow precision when used with makeup application. These beauties far exceed the standard cotton tips when used for this purpose. An absolute makeup essential in anyone's makeup cabinet. Anybody who wears make up or paints their nails. I love these as they are designed to work in nooks and crannies and remove makeup and nail polish mistakes. The flat side is great for blending eye shadow and removing fall out and excess from the crease. The pointy tip is great for fixing your lip liner /lipstick and removing nail polish from skin. You can't go wrong with these they are clever! I use these all the time for removing mistakes with eyeliner, mascara and the pointed end is awesome for applying fake lashes! Great quality, great product LOVE IT! These are great for removing stubborn eye liner or cleaning up your liner wing. They easy absorb makeup remover and don't fall to pieces like other Qtips I've used. i use these for blending and cleaning up my eye make up, they are also great for nails, i just dip the pointy end into polish remover and clean up any mistakes easily. Essential prep for the impending party season. Don't let the rain ruin your look! Are you making the most of your weekly beauty spend? Find out what products bh suggests for $15, $25 and $50 buys.